If you want to make yourself heard - and are craving an extra boost of performance - Borla might be just what you need. We all want to get the most out of our vehicle, and Borla exhaust systems & exhaust kits help us do just that. When you're finished, you will have that distinct "Borla" sound. When it comes to a stainless steel upgrade for your vehicle, this long tube header from Borla is a great choice. Its stainless steel construction coated with a corrosion-resistant finish will ensure longevity. 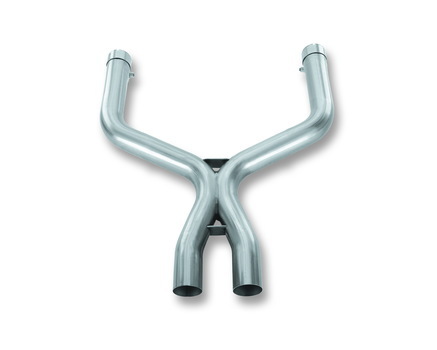 Its mandrel-bent tubing increases exhaust velocity thus boosting engine performance. It's easy to install and you can have it ready in just a couple of minutes. 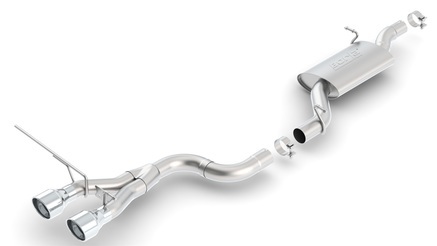 If you're looking for a high quality exhaust crossover pipe in the market, this Borla X-Pipe will give you exactly what you need - power, fuel efficiency, and a great exhaust note. You get everything you want out of this without having to break the bank. Plus, installation is easy! 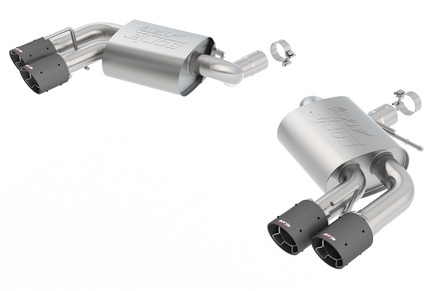 This Borla exhaust system kit incorporates the brand's latest technology, ATAK, which guarantees better sound for your vehicle. Aside from that, it also delivers better engine performance with mandrel-bent tubing, increased horsepower and torque, thus better fuel efficiency. 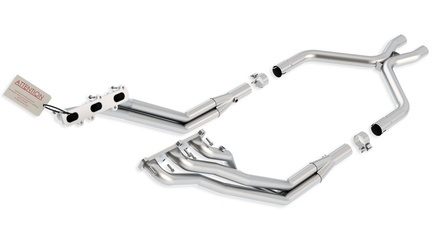 It's everything you've ever wanted out of an exhaust system kit that is worth every penny! If you're looking for an exhaust system that will give you the most aggressive sound, this particular one from Borla will do the trick. Aside from the sound that is definitely an attention-getter, it will also boost your vehicle's performance, which will perfectly complement the sound that it makes. You will love it! 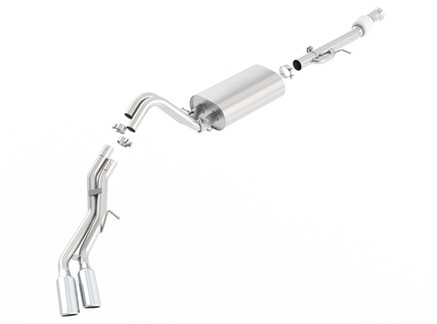 For that high-quality replacement exhaust system kit, you will love this one from Borla. 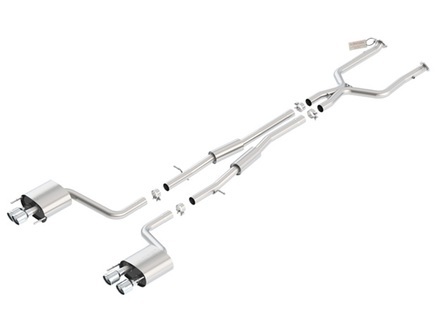 Constructed from high quality stainless steel and featuring mandrel-bent tubes, you get better engine performance and at the same time, more horsepower gains for you. Not to mention, it's going to deliver a better engine sound as well! 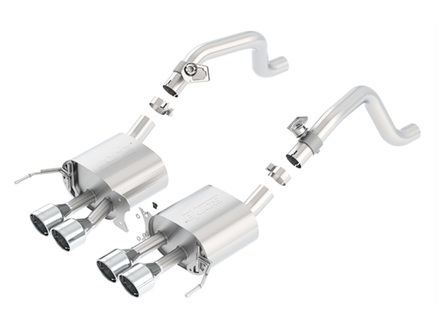 For a high quality exhaust system kit that has it all, this one from Borla will give you the best driving experience. Enjoy better sound for your vehicle and better engine performance out of this. It's the best investment because you and your vehicle deserves only the best. Upgrade now! For an exhaust system that will really deliver to you the best performance, you will get the best out of this Borla exhaust system kit. 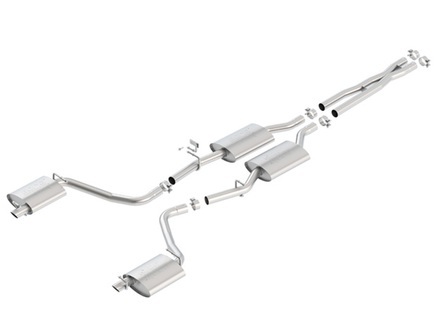 With a solid construction and a patented straight-through muffler design, you get better gains, fuel economy and sound that will make a huge difference to your vehicle. 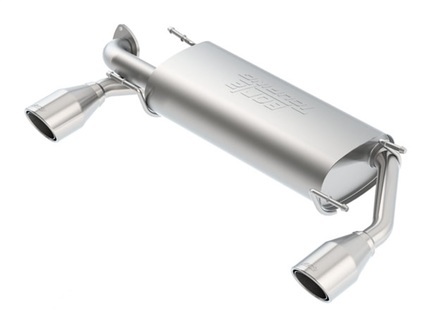 Replacing your factory exhaust system? Replace it with this Borla exhaust system kit and you get the best driving experience packed with so much excitement. With this Touring axle-back exhaust system, you get that much-needed boost in power and a moderate exhaust note that you will absolutely love. It's easy to install as well. For a replacement exhaust system that will really deliver superb performance to your vehicle, this exhaust system kit by Borla will make all the difference. Get yourself better horsepower, torque and sounds! Your vehicle will definitely look, sound and feel more powerful on the road - wherever you are. It's the perfect choice! 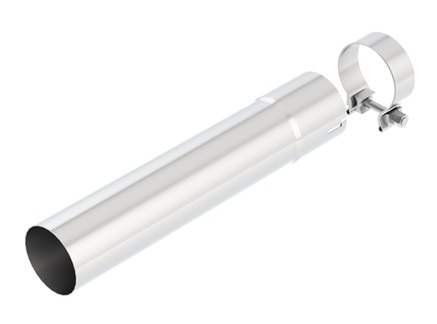 Give your exhaust system that perfect balance with this exhaust pipe adapter from Borla. With a solid construction and a style that will deliver to you maximum performance, you will be making an outstanding investment with this one. It is built to last so you are rest assured you will be able to make use of this for a long time. Using their state of the art research & development, and manufacturing facilities, Borla manufactures all Cat-Back, Axle-Back and headers using austenitic stainless steel, which is superior to aluminized or 409 steel. 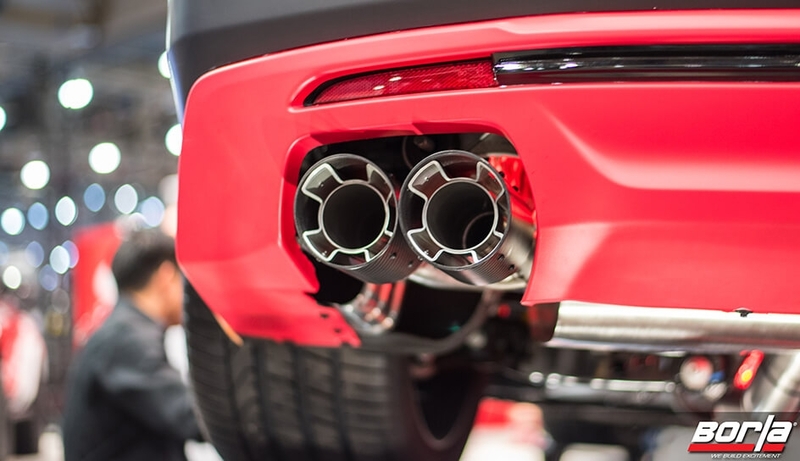 Starting out as a manufacturer of exhaust systems for Rolls-Royce and Porsche, Borla has expanded their product lines to a wide range of vehicles for street, racing and off-road. PartCatalog.com is a proud retailer for Borla. For more information on Borla, please visit the Borla official website.